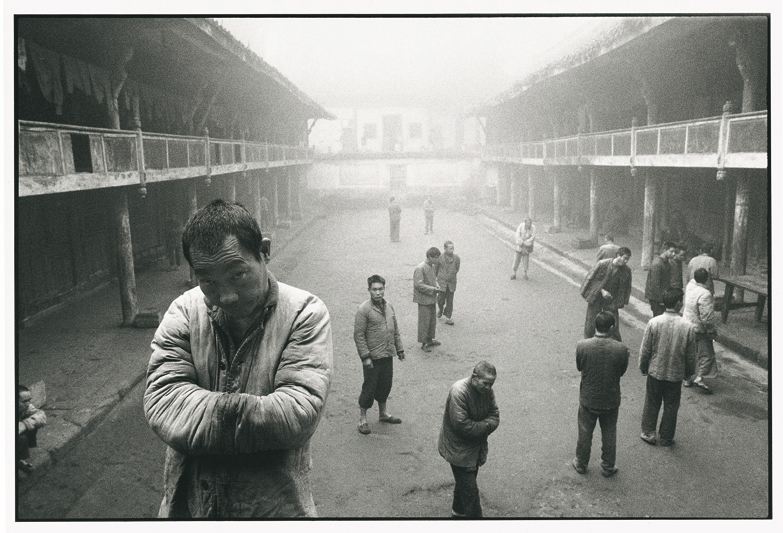 Correspondent for the prestigious international cooperative Magnum Photos since the 1990s, Lu Nan 呂楠 (born in 1962 in Beijing) is an independent photographer who has been documenting marginalized people in China. 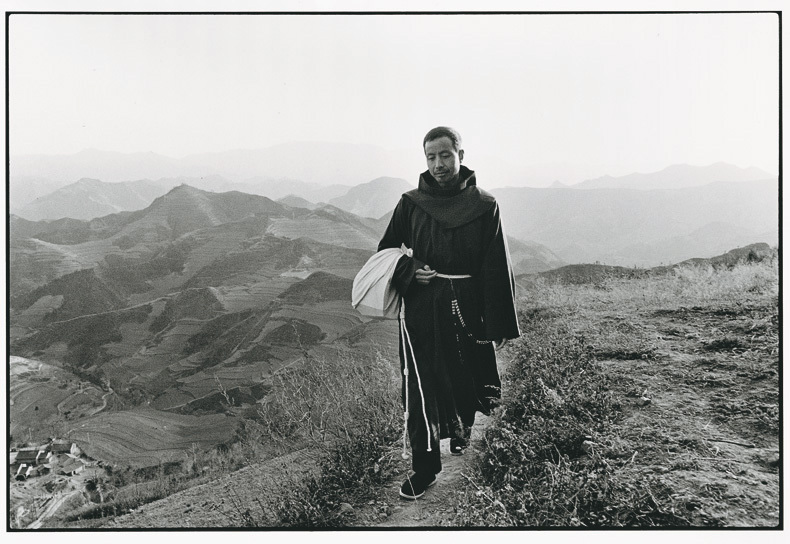 In 1989, he started to photograph what has now become his acclaimed trilogy, namely The Forgotten People—Living Condition of China’s Psychiatric Patients; On the Road—The Catholic Faith in China; and Four Seasons—Everyday Life of Tibetan Peasants. This trilogy ended fifteen years later in 2004. It is important to remember that Lu Nan was one of the first to shed light on another side of Chinese society, on people often considered outcasts. “I just respect them and care about them… They are the same as us,” said Lu as a reminder that all human beings are equal and deserve dignity. 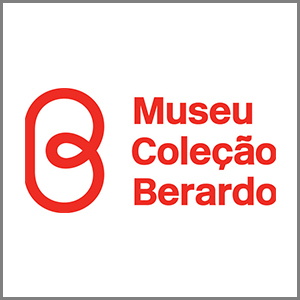 Opened on 10th October 2017, the Museu Coleção Berardo in Lisboa (Portugal) has set up a major retrospective. This exhibition is “a tribute to the work of Lu Nan and a sign of great respect for the man who, with refinement and coherence, knew how to prepare, carry out and complete a project on such an immense, almost epic scale – not something that can be achieved by just anyone,” wrote the museum curator João Miguel Barros. On that occasion, Lu Nan answered a few questions. What are your thoughts about your current solo show at Museu Coleção Berardo? I am extremely satisfied with this exhibition, thanks to the museum, its curator(s), and everyone who worked and contributed towards the show. They presented great enthusiasm and attention-to-details in showcase and guidance. I’m very honoured to have exhibited my works here. I started to learn photography by myself in the middle of the 1980s, I'm completely self-taught. Why do you use mainly black & white photography? I believe both black & white and colour photography can produce good works. I choose to shoot in black & white, first because of my subject - most of them is in black, grey & white tone; another reason is that black & white photographs can express serious and deep thoughts better. Which picture of yours do you find particularly memorable? Each image of mine is independent, although each image serves to form a whole. Therefore, I do not have one photograph that makes more impression than the others. How should we understand your works? This trilogy can be considered as large body of work, composed of three independent parts. Simply put, The Forgotten People talks about suffering, and On the Road is about redemption, Four Seasons looks at people’s solemn labour and calm life. Overall this trilogy focuses on people. Through these photographs, I hope to find the basic and long lasting characters of human beings. Would you prefer to publish a monograph or to set up a solo exhibition? If I have to choose one out of the two, I choose to publish a book. My future work plan should be related to gender, body, and identity.